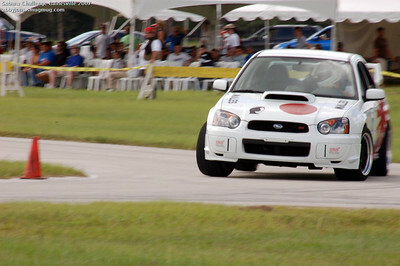 SCCA Plans to Move Subaru WRX STi and Mitsubishi Evo from BSP to ASP. After hearing about the latest news from the most recent SCCA FasTracks I immediately sent in my response against the change. The BSP Mitsubishi EVO VIII’s and IX’s did very well this year at nationals in BSP. Neither of the STI or EVO as a whole have proven that they would be competitive in ASP on a national level. If the bases of the change was due to the performance of the EVO and STI at nationals the S2000 and C4 Corvettes should also be bumped into the ASP arena. Below is a link to the 2007 SCCA Solo Championship results, as seen here the EVO and STi did not dominate BSP, there is a strong mixture of vehicles in the top 10 of BSP competition. Don’t change that, keep the competition alive. Read the new SCCA Solo FasTracks here. They are asking for emails in agreement of disagreement with this change. We need everyone to send an Email to seb@scca.com and voice our disagreement with this new class change. Below is a Sample letter for you to send. Hopefully t3h wheel33tist in me will subside long enough for me to create a few unbiased tech articles. I’ve got a laundry list of articles that I will be compiling here for the masses. The coming weeks I will start rolling them out, stay tuned. If there – are any specific questions on fitment or availability don’t hesitate to shoot me an email.